Immortal Artist: What is a Living Blog? What is a Living Blog? It is a living, breathing website. On most blogs and websites the information provided is static and unchanging. Once something is added to the blog, it remains so. There are no changes to anything. Like a human being, the living blog breathes and changes with the conceptions, ideas and evolution of its creator. The key to a successful living blog is that it reflects "you" the creator. You are not a dead static object. Why should your blog be so? For most bloggers, the blog contains stories and information pertinent to a particular subject matter. But once an entry is created it remains locked in the same constant state as it was when it was originally written. A reader might take time to go back and looked at an older article, but for the most part readership typically involves the first 10 articles at the top of the blog. After that the articles become old and often stale. Within a living blog everything is in a constant state of potential change. An article written 4 years ago may become pertinent once again with an update of information, a revision of some of the information already within it and the addition of new information which was not available at the time of its original writing. A blog, unlike a professional website publication is typically the brainchild of one or a few people. There are not hundreds of staff members writing for it and it is not controlled by any company or corporation. But blogs like larger websites share one commonality.There may be some amount of interaction with the article through comments from readers, but the information does not change. Within the living blog change is the key. Content may shift to take in new viewpoints, graphics may change and even titles of articles may evolve to bring in new audiences. What is unchanging is the basic concept of the blog. In the case of this blog there are two fundamental concepts that it explores. "Art and Creativity". But within those concepts everything else found within the blog is fluid. For this blog creator his blog is as much a work of art as his paintings or sculptures. As the creator of the Assimilation Art Movement, the creator does not believe that anything is unchanging. Nothing is ever unchanging. Even if we cannot sense it, everything around us and within us is in a constant state of change. So to should art or a website that represents the views of the artist be unchanging? Static information creates a static view of the world. 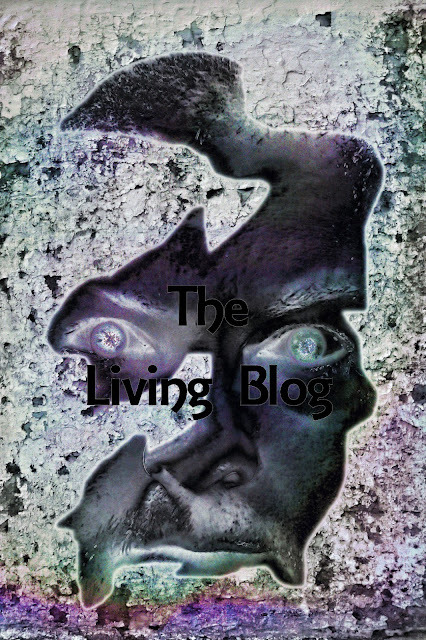 The concept of the Living Blog is about more than just information sharing. Living blogs become a hub of activity, centering around the concepts the blog was designed for. Without interaction from others, it would be like a person living in a cave all their lives and never interacting with another human. The biggest mistake a blogger can make is to make the blog totally self centered. Its alright that it revolve around the creator, but it must extend out and bring others of interest to it. So with this in mind, we welcome you to explore the first Living Blog at immortalartist.com and look around closely. And if you would like to discuss the Living Blog concept or advice on creating your own or adapting your current blog to a Living Blog, give us a shout.